The industrial internet of things will combine intelligence and interconnection to revolutionize nearly every industry, from healthcare to transportation to power to factories. IIoT will be a much bigger network with bigger value than today’s enterprise-focused internet. The analysts all agree it will have a multi-trillion-dollar economic impact, as billions of devices come online. However, that impact is largely yet to be felt. Interoperability is widely acknowledged as the key issue holding back IIoT. Unlike today’s internet, the amazing diversity of applications in dozens of industries cannot be easily addressed by a single connectivity technology. IIoT must therefore combine multiple standards and approaches addressing very different use cases. Removing this blocker has potential to ignite much faster adoption. After nearly three years of analysis and debates, the largest IoT consortium published a landmark document last month. 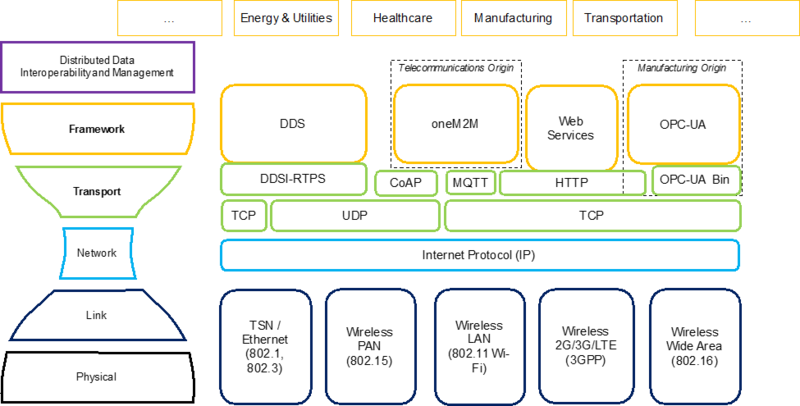 The Industrial Internet Consortium (IIC) Industrial Internet Connectivity Framework (IICF) is by far the most detailed and profound work yet published on IIoT connectivity. It rolls up insights from and negotiations between a wide variety of industry, consortia and standards. The design offers profound insights into architecture, standards analysis and use case analysis. 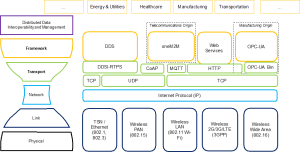 The IICF architecture will create IIoT connectivity from a small number of “core connectivity standards.” These standards address different regions of the connectivity space. The industry must build standardized “core gateways” between standards. This architecture merges “best fit” industrial application technologies with a design for eventual internet-scale integration. The IICF also deeply analyzes the eight main technologies used in the industry and culminates in practical selection guidance. This guide to the IIoT connectivity and interoperability challenge could unleash the value promised by IIoT. Its combination of immediate practical execution with long-term integrated vision offers a clear path to the future.